Zombies! On Mars! With bizarre movie science! Starting with a study on Mars (which is very brief before we get to the action, so I'm not 100% sure why they're there), with only twenty hours before their departure window, one of the crew of the Tantalus Base discovers, potentially, bacterial life. Then he falls down a hole. Then there is a whole bunch of bad decisions by the Captain. 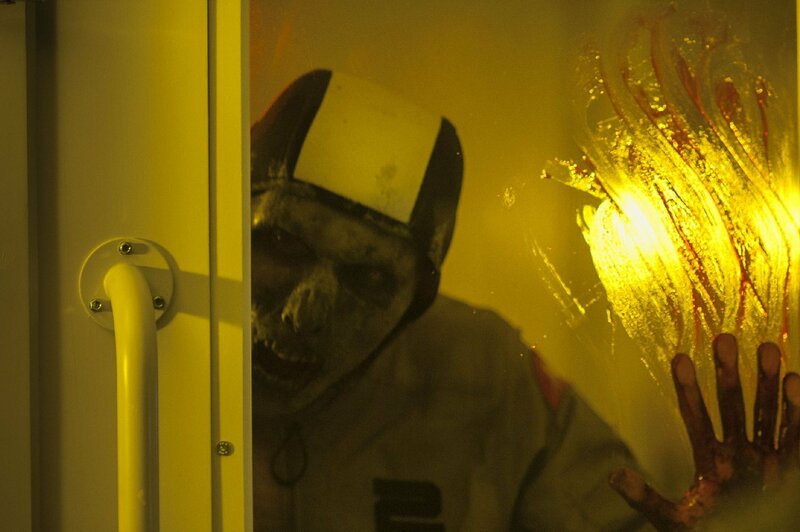 This leaves most of the crew infected by the bacteria, and flesh eating zombies. For reasons. Basically set up in a similar vein to the far superior The Thing, Last Days is the unknown in a claustrophobic environment. And it's better than it deserves to be. The plot is non-existent, but then it didn't need to be. The acting is pretty solid throughout. The CGI is noticeably better than other films with much larger budgets. It's a recommended watch. But there are a few bizarre things that let it down. Let's start with the Captains decisions. Played by the always watchable Elias Koteas (Gattaca / Shutter Island), Captain Brunel makes some really obviously bad decisions. The first, and most noteworthy, is the decision to leave crew member Dalby (Yusra Warsama) alone, to watch over the hole that crew member Petrovic (Goran Kostic) has fallen into. She clearly has feelings for him. She's visibly distressed. He might still be alive. The science is a bit iffy, too. It was filmed in Jordan, which according to the movie has the same gravity as Mars. I checked. You can't jog on Mars. And there's a lot of jogging in this. Also, there is very little deterioration of the flesh when exposed to martian atmosphere. For hours. It's a good science fiction horror movie. 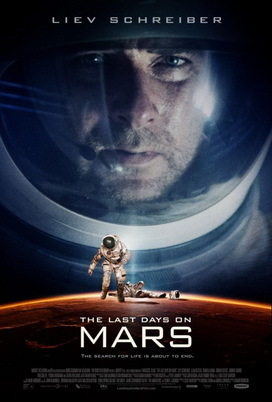 One of the best Mars films of recent years too. And why was it called Last Days on Mars, when the film happens over a nineteen hour period?